The MIAMI Association of REALTORS® (MIAMI) has elected Fort Lauderdale broker Patricia C. Anglero as its 2018 Broward Council president. She and all of MIAMI’s leadership boards were installed Feb. 2 at the MIAMI 2018 Inaugural and Awards Celebration. “I want to engage more Realtors and work to continue the high level of professionalism that we have in our industry," 2018 MIAMI Broward President Patricia C. Anglero said. The Broward Council is dedicated to leadership, the real estate profession and the communities they serve. MIAMI membership has risen steadily in Broward County, and now includes more than 11,000 members. With more than 46,000 members, MIAMI is the largest local Realtor association in the nation. Anglero is a native of Angola, Africa of Portuguese descent. Having lived half of her life in several countries and the other half in the United States has given her a broad understanding of international business, an important attribute in a global metropolis like South Florida. Anglero attended the University of Florida and studied microbiology and cell science until 1997 when she married her husband. Anglero became a U.S. citizen. Anglero’s love for real estate began back in 2002 when she assisted a multi-million-dollar producer friend. Real estate felt natural. She acquired her real estate license in 2003 and started her career with Galleria Collection of Fine Homes that same year. Anglero began selling high-rise condominium residences as a sales executive and later as a sales director assisting the broker with several developer accounts. 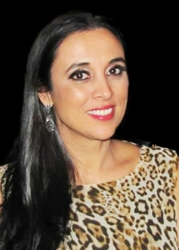 Anglero, who owns Galleria International Realty, dedicates her time and knowledge as a full-time presence at the office on Las Olas where real estate is treated as a people business and where agents come to get the support they need. Joining Anglero are: Broward President-Elect Jonathan Keith of Coldwell Banker Residential Real Estate; 2017 Broward President Ellen R. Mitchel, CRS, CDPE of RE/MAX Advance Realty; Governor Jimmy Branham of The Keyes Company; Governor David Dweck, ABR, CIPS, GRI, MRP of Southeast Regional Realty; Governor Saria Finklestein, CLHMS of Keller Williams Partners Realty; Governor Daniele S. Gordon, SRS of Coldwell Banker Residential Real Estate; Governor Nathan Klutznick of The K Company Realty, LLC; Governor Sharon R. Lindblade, CIPS, PMN, PSA of Century 21 Hansen Realty; Governor Vilma Lopez, CIPS, GRI, ABR, SRS, MRP, e-PRO, TRC of Coldwell Banker; Governor Carol Muir of The Keyes Company; Governor Neal Oates Jr., CIPS, CLHMS, SFR of World Renowned Real Estate; Governor Thamara Pichardo, ABR, CIPS, GRI, SRS, AHWD of Realty World; Governor Venus Proffer of Coldwell Banker Residential Real Estate; Governor Richard B. Schultz of Coldwell Banker Residential Real Estate; Governor Patrick Simm, ABR, CRS, GRI, e-PRO of Keller Williams Realty Partners SW; Governor Natascha Tello, CDPE, CIAS of Keller Williams Realty Partners SW; Governor Audrey Vergez, SFR, CNE, CSMS of Berkshire Hathaway HomeServices Florida Realty; Governor Marcia van Zyl of Berkshire Hathaway HomeServices; Governor Lisa Vizcaino, CDPE, CHS, CRS of Realty World South Florida. Danielle Y. Clermont is Senior VP of Broward, Palm Beach & Martin Counties. Deborah Boza-Valledor, CIPS, CRB, CRS, GRI, TRC, RSPS, AHWD, serves as Chief Operating Officer and Chief Marketing Officer for MIAMI. Teresa King Kinney serves as the Chief Executive Officer of the organization.